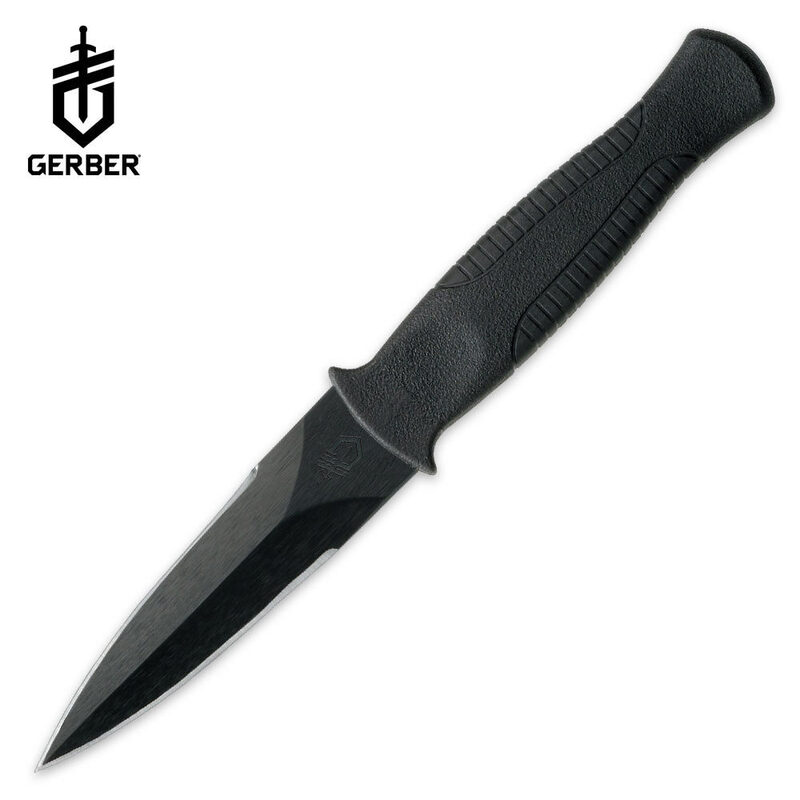 Gerber Guardian Boot Knife | BUDK.com - Knives & Swords At The Lowest Prices! The Gerber Guardian Boot Knife is an indispensable self defense knife that is a favorite among military and law enforcement professionals. The 3 2/5" double-edged high carbon steel blade is razor-sharp and black coated for corrosion resistance and glare reduction. A patented clip-on sheath lets you adjust the withdraw tension to customize your style. I wish every knife had a sheath like this one does. You can actually set how firmly you want the sheath to hold onto the knife. Its like a sleepnumber bed, you just easily adjust it until you get your preferred "perfect" draw. I love the size and the fact that its double edged as it highly concealable but the perfect size to work in the manner I was trained to use a knife (where I learned my preference for double-edge). I've had this knife for years now and its a fave. This is the best self defense knife in my opinion. Although its a boot knife, im actually able to clip it on my belt. It is razor sharp,im talkin sharp enough to shave the hairs on my arm. Its made in the usa and worth every penny you pay..